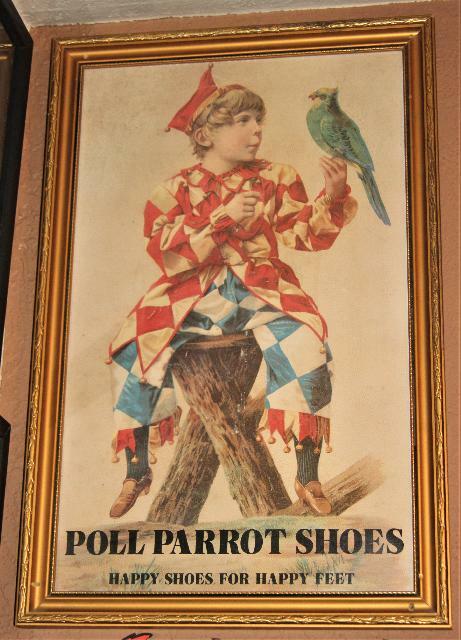 This is an old Poll Parrot shoe sign in its original frame I believe. Has good color. 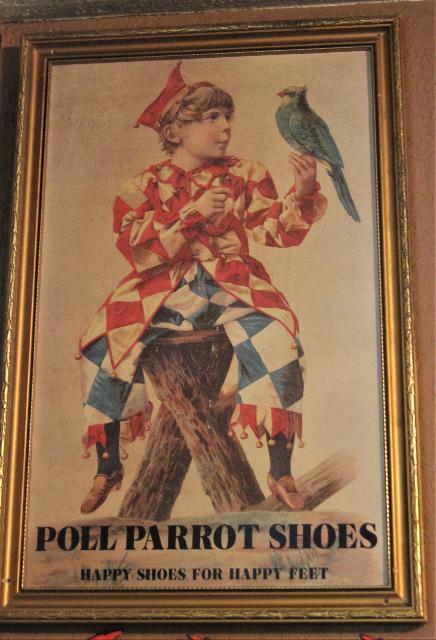 Shows the jester boy and Poll Parrot. Hard to find piece.